Our team of qualified boiler engineers work across the New Forest and surrounding areas installing and servicing natural gas and LPG boilers. We also install oil fired boilers and recommend a local oil servicing company to maintain them. If you’re looking to replace your boiler, the latest industry standards require that all new boilers are highly efficient condensing models, either regular or system, with a hot water tank running in tandem, or condensing combination boilers. 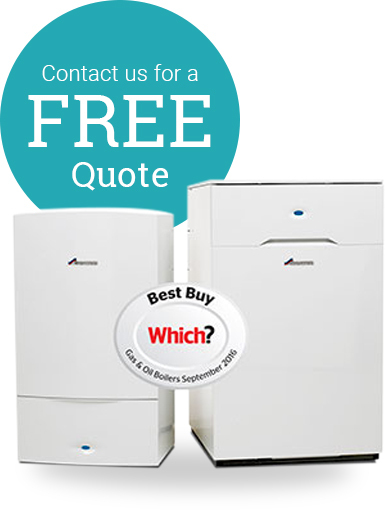 Unless a customer specifically requests otherwise, we recommend and install Worcester Bosch boilers as their build quality and after sales customer support is second to none, they also supply boilers with an 8 to 10 year warranty, much longer than most other manufacturers. If it’s an oil-fired boiler you’re after, it’s worth noting that because of their weight and size, most are floor standing, accompanied by a 5 year warranty. However, you may want to consider installing an outside oil boiler, manufactured in a weatherproof case. When it comes to the flue from the boiler, it can either be run out through a wall or vertically through the roof, depending on what best suits your home. Flue pipes can now run longer distances which means greater flexibility. There are also a variety of boiler controls, including digital programmers, digital WIFI compatible room thermostats, all selected and fitted to suit your home. When quoting for your boiler requirements we look at the whole picture: how many there are of you in the home, size of home and your everyday heating and hot water needs before coming up with the best boiler option to suit you.